Ever since its release, the Aeropress made waves as the little coffee maker that could. Some even touted its ability to brew espresso from home. 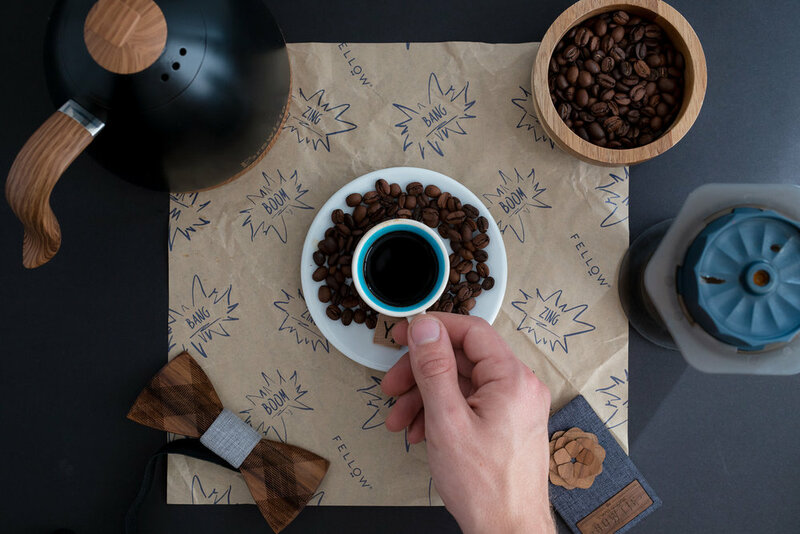 While it is capable of brewing a dense concentrate that has some espresso-like properties, the result doesn’t stand up when compared to real espresso. Fellow Products, the company behind the Stagg Dripper and Kettle, set out to fix that with their Aeropress attachment named Prismo. 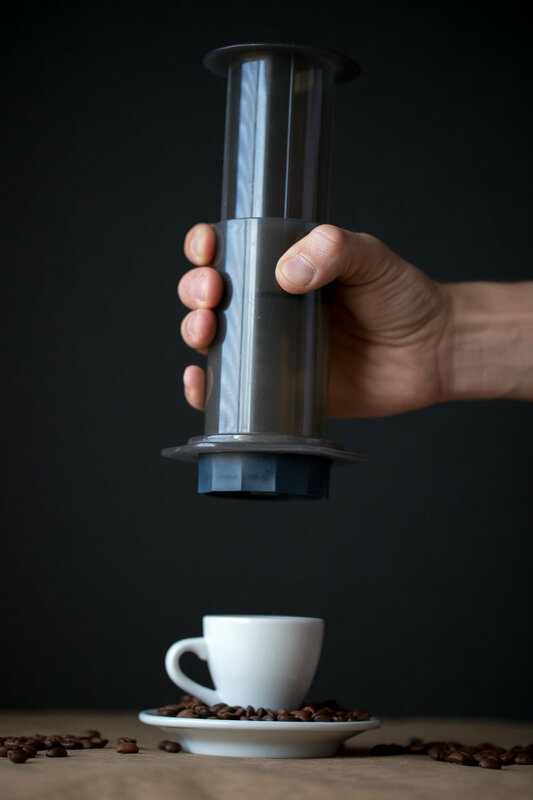 It claims to give the Aeropress superpowers, but does it stand up to espresso pulled from a machine? Thanks to lots of consumer products adopting traditional coffee terms, some get a little ambiguous, so let’s start by defining some terms. Espresso is coffee brewed by forcing out a small amount of near boiling water under pressure through finely ground coffee beans. It exhibits a higher concentration of suspended and dissolved solids and has a thicker texture than filter coffee. By the Specialty Coffee Association’s standards, the extraction needs to utilize between 9 and 10 bars of pressure to technically qualify as espresso. Crema is the initial light colored foam-like liquid produced during espresso extraction. It typically forms because the pressure emulsifies the natural fat and oils in the bean and suspends them in tiny bubbles of air. Those bubbles trap many of the aromatics and can lend a fluffy mouthfeel while contributing to the complexity of espresso. Tasted alone, however, the crema is bitter and sour. Many use the crema as a sort of benchmark for espresso quality. But in reality, the appearance and even the existence of the crema means very little in terms of flavor. You could pull a shot of terribly roasted, awful tasting espresso that has a gorgeous, aesthetically pleasing crema. Alternatively, you could pull a shot of delicious and complex espresso with very little crema at all. That’s because the appearance and existence of the crema has more to do with variables in the coffee bean itself, like varietal, processing, roast date, and roast level than the actual quality of the bean or the skill of the barista. Now that we’ve got some of those technicalities out of the way, let’s get down to the nitty gritty. What is Prismo? The Prismo is an attachment for the Aeropress that replaces the OEM filter cap. It comes with a fine 70 micron etched metal filter and a pressure actuated no-drip sealed valve. It allows you to brew full immersion with the Aeropress without having to use the inverted method and promotes even better extraction by increasing the pressure. Technically, the Prismo doesn't brew with enough pressure to qualify as espresso. To make up for that, the recipe uses stirring to increase the extraction. So far, I haven't been able to consistently pull an aesthetically pleasing crema. Thankfully, based on the definition above, that shouldn’t necessarily inform the quality of the espresso produced by the Prismo. I based my espresso recipe on the documentation included in the Prismo packaging. Dialing it in from there really meant finding the right grind size. I wasn’t able to get a fine enough grind size using the Handground, so I switched to my Bodum Electric. I started at the finest setting and worked my way slowly down until I found the balance between extraction and sediments in the espresso. Pour slowly, and be as precise as possible. Even a couple grams at this ratio can throw off the flavor of the shot. At this point you can lift the Aeropress off the scale, the no-drip seal will prevent any coffee from leaking out. I recommend using one hand to stabilize the cup and bottom of the Aeropress while pressing. I prefer to stir the espresso so my first sip isn’t just crema. Even though I wasn’t able to produce a crema consistently, once I figured out the grind size, I managed to consistently pull some delicious espresso. The flavors were complex and had all of the characteristics I used to look for when dialing in the espresso when I worked at River Rock. The Prismo lends its superpowers to more than just espresso making, it can also improve regular filter brewing. In theory, by increasing the pressure, Prismo should provide a more fully extracted coffee than the original filter alone. So far my side by side brewing has confirmed this, though the difference is much more subtle than I was expecting. Under the same brew parameters, the Prismo produced a slightly sweeter coffee that I could only detect when tasting them side by side and paying careful attention. To accomplish this, simply place one of the paper filters over the Fellow metal filter before brewing and follow your normal recipe. The Prismo’s superpowers have a greater affect on recipes that use metal filters or the inverted method. 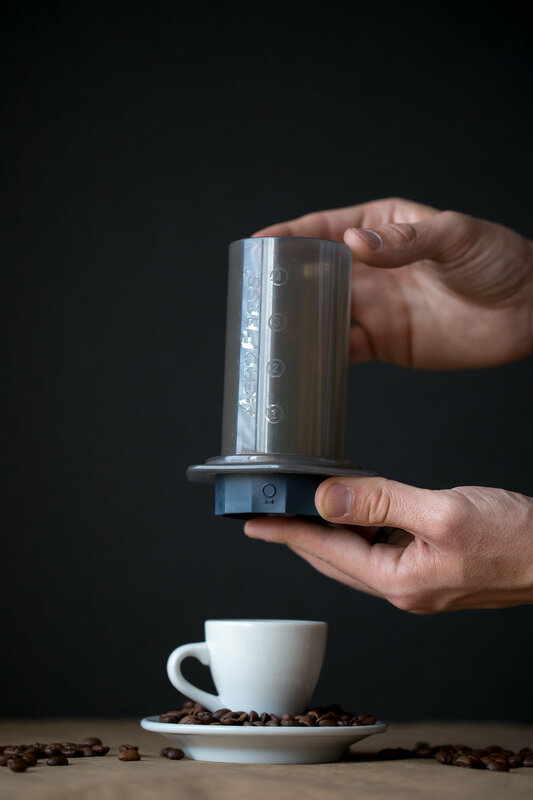 Thanks to the no-drip seal, the Prismo allows you to brew with a full immersion recipe with precision without needing to flip the Aeropress. This cuts down on the risk of spilling hot coffee all over yourself without any real downfall. Since every other metal filter I’ve come across so far requires the inverted method to work properly, Prismo is also the best metal filter on the market. If you couldn’t tell, I’m really impressed with the Prismo. Fellow really made a unique product here that greatly increases the versatility of an already versatile brewer. At $30, it’s really hard to beat for some pretty delicious homemade espresso. With the added benefits to the regular filter recipes, I can’t recommend the Prismo enough. Seriously, go get one for yourself. Thanks for reading! If you have any questions, comments, or ideas for future content hit me up! You can leave a comment below, shoot me an email, or DM on Instagram! Disclaimer: I received the Prismo from Fellow for free in exchange for an honest review and some photographs.